1. What type of Soccer programs are offered by the Germantown Legends? FUTURE LEGENDS REC SOCCER - U5, U6, U7, U8 and U10 Boys and Girls RECREATIONAL Soccer program with an emphasis on INSTRUCTION, PLUS a free skills session each week during the regular season. Recognized as Division 4 by US Youth Soccer. FUTURE LEGENDS ADVANCED REC (or ACADEMY Program) - U7, U8 & U9 Boys and Girls wanting and seeking an additional challenge with a desire to take their game to the next level (season to season program, determined by the needs, skill level and number of available players). JR. LEGENDS - U12 to U19 Boys & Girls Recreational Soccer. Recognized as Division 4 by US Youth Soccer. LEGENDS - 'competitive' soccer program for boys and girls, U8- U19. Recognized as Division 1, 2 and 3 by US Youth Soccer. 2. What do players need to bring to all Practices, Skill Sessions and Games? Kids should bring the following to ALL training sessions and games. 3. What size Soccer ball does my child need? 4. How many practices does our team get each week? HappyFeet League: Saturday only, 1-hour session. NO practice sessions. U7: One 1-hour 15 minute training sesson per week with their Legends 'licensed' Coach. U8 and U9: Up to two 1-hour 15 minute practices per week with their Legends ‘licensed’ Coach. Three team training sessions per week, PLUS Excel Training Session (Skills, Strength & Agility) weekly during the Fall and Spring Season, PLUS Finishing & Goalkeeping Training Sessions weekly during the Fall and Spring Season. 5. When are the ‘free’ Skill Sessions for the Future Legends Divisions? 6. Where are the Soccer Parks located in Germantown? 7. Where can the Germantown Legends Soccer Program be found on the internet? Where can we go regarding whether the fields are open, or when the conditions are questionable? 8. What does the ‘U’ in U6 mean? It means 'under' 6. For example, U6 means under 6. Everyone playing in that age group is the age 6 or younger. See website for Age Chart. 9. What is the Lightning 30-minute Clock? Personnel should not return to the practice or game area until thirty (30) minutes have passed since the last lightning flash. Each time lightning is observed and or thunder is hear, the ’30-minute clock’ is to be reset. Blue skies in the local area and or a lack of rainfall are not adequate reasons to breach the 30-minute return-to-play rule. Lightning can strike up to ten (10) miles away from the rain shaft of a storm. Your field staff and or supervisor will make the calls on the weather for all games. All Coaches will need to follow the first 3 bullets above for practices. 10. I’m interested in becoming a Volunteer Coach, what is the process? 11. Can our team have more than one Coach? Yes, in fact, we recommend having more than one coach. Each of our Future Legends and Jr. Legends (Recreational) teams is encouraged to have a minimum of three Volunteers - Head Coach, Assistant Coach and Team Manager (or two Co-coaches and Team Manager). If not a ‘Head’ Coach, than two Assistant Coaches is acceptable as well. Also, only players and coaches are to sit together during games. Parents are to sit on the opposite side of the field (where possible). 12. What are the responsibilities of the volunteer Jr. Legends Recreation Soccer Coaches? HEAD COACH—plans and runs practices, determines lineups, sets practice dates and times, etc. ASSISTANT COACH— assumes the head coaching duties if the Head Coach is unable to make the practice or game. Primarily, the Assistant Coach is to be the ‘bench’ coach during games to ensure the kids are ready to enter the game. TEAM MANAGER—organizes ‘off the field’ activities, sets up and helps to facilitate the communication of cancellations, field changes, calling trees, etc. 13. How can Head Coaches receive reduced or free registration fees for their child? All U5/ U6 thru U7/U8 Head Coaches with a USSF F Coaching License, Youth Module Certificate (or NSCAA equivalent) will receive one FREE Registration Fee for the child they are coaching. Any U6 thru U19 Head Coach with an USSF E Coaching License (or NSCAA equivalent) will receive one FREE Registration Fee for the child they are coaching. From time to time, the Germantown Legends will host USSF Coaching Courses for all Coaches in the area. Some, but not all, are FREE to the parents and coaches within the Germantown Legends Soccer program. Please check the Germantown Legends website calendar, the Tennessee State Soccer Association website (www.TNSoccer.org) and or the National Soccer Coaches Association of America website (www.NSCAA.com) for more information, upcoming course dates, or to register. 14. How are Future Legends and Jr. Legends teams formed? Players who are registered within the ‘Early Bird’ and ‘regular’ registration periods are typically placed on teams based on the schools and or churches they attend. While requests are welcome, requests are for players, parents and or coaches that sign up during the 'early' or 'regular' registration periods (i.e., Requests made during the 'Late' Registration period may not be honored). Keep in mind, when three or more players request to play together, one of the parents MUST be either a Coach or Team Manager. For more details, please visit the ‘Registration Policies’ online. 15. Can my son or daughter’s team stay intact from the Fall to Spring Season? Provided you have made the request in the appropriate boxes online, and noted the name of the Coach you wish your son or daughter to play for, we will do everything possible to keep teams intact from the Fall to the Spring Season. Also, all team members need to have registered before the end of the ‘early registration’ period and their balances are paid in full. Keep in mind, when three or more players request to play together, one of the parents should be either a Coach or Team Manager. 16. Why do you call your U6, U8 and U10 Boys & Girls Divisions ‘Future Legends’? While the U5/U6 Coed and U7/U8 thru U10 Boys and Girls Divisions are part of our Jr. Legends Recreation Soccer Program, there is an emphasis placed on instruction and rules of the game for both the players and their parents. In addition, these divisions receive a FREE Skills Session each week during the season. 17. What is the Advanced Rec or Academy program? 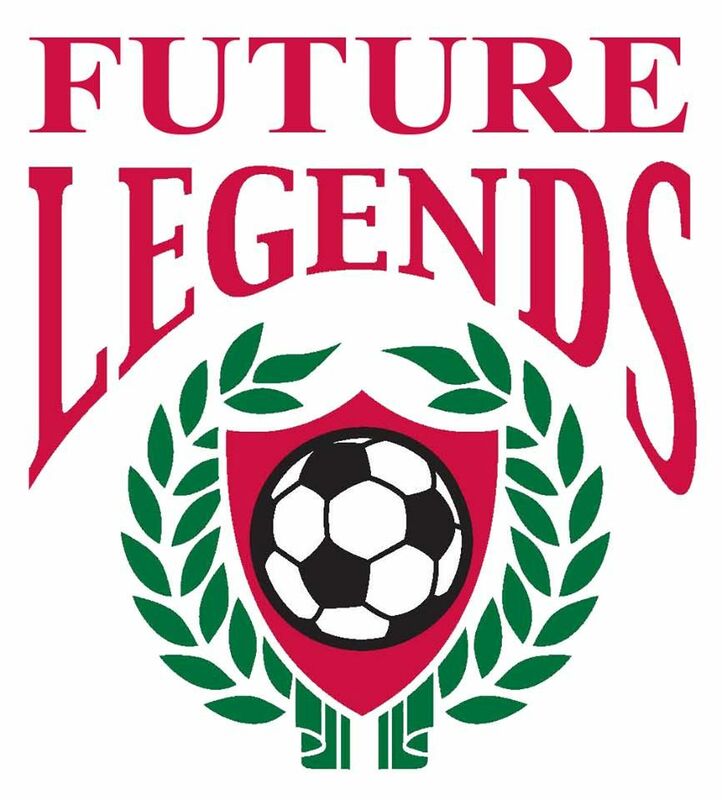 The Future Legends Advanced Rec is a Soccer program designed for all U7, U8 & U9 boys and girls who want an extra challenge, and may someday want to compete at a higher level. No tryouts, all kids welcome. This is a transitional program for players someday wanting to move into our Legends competitive program. The Advanced Rec program is run by the Germantown Legends ‘licensed’ Coaching Staff. This program is ‘in addition to’ the Jr. Legends Recreation Soccer program. A player must be on a Jr. Legends Recreation Soccer team in order to participate in the Future Legends Academy program. Practice dates could be include: Wednesday evenings, Friday evenings, Saturday afternoons, and or Sunday afternoon during the season. Game dates, times and locations to be announced. Festivals (Games) will be played against other ‘Academy type’ programs in the area. This program is available on a season to season basis, based on the numbers, needs and skill level of the players available. 18. What options do you have for ‘Advanced Rec’ Players? Players stay in their appropriate ‘Age’ Division, and participate in the weekly Academy practice session. Players may ‘play-up’ one Age Division, as a team, while also participating in the weekly Academy practice sessions. 19. What color jerseys are worn by the home and away teams? The ‘Home’ team wears white or light colored jersey, while the ‘Away’ team wears red or dark colored jerseys. Players should always bring both jerseys to all games. 20. Why does our league NOT post standings? At the younger ages, we place a priority on participation and individual player development, NOT the results of the games. The emphasis should be on having FUN, especially at the early ages of your son or daughter’s soccer career. 21. How many players are on a Future Legends or Jr. Legends Recreation Soccer Team? 22. How do I register my child to participate in the Germantown Jr. Legends (including Future Legends and Academy), HappyFeet or TOPSoccer programs? Registration for all programs is done online at REGISTER.GermantownLegends.com. 23. Are there any other Volunteer opportunities within the Germantown Legends Soccer program? See the website, as many other opportunities will exist during the season (Picnic, Christmas Parade, etc.). 24. Are Uniform Kits included in the Germantown Jr. Legends (including Future Legends and Academy), HappyFeet or TOPSoccer programs? Uniform Tops are only included in the HappyFeet, TOPSoccer, and Academy programs registration fees. Uniform Kits for the Future Legends and Jr. Legends Recreation Soccer Program, are NOT included in the registration fee. Uniform Kits are ordered separate of registration. Uniform ordering procedures to be available by early August for the Fall season, and early February for the Spring season. 25. What is the TOPSoccer Program? US Youth Soccer TOPSoccer (The Outreach Program for Soccer) is a community-based training and team placement program for young athletes with disabilities. The purpose is to give every player a chance to experience the joy of soccer. TOPSoccer is a once per week program.